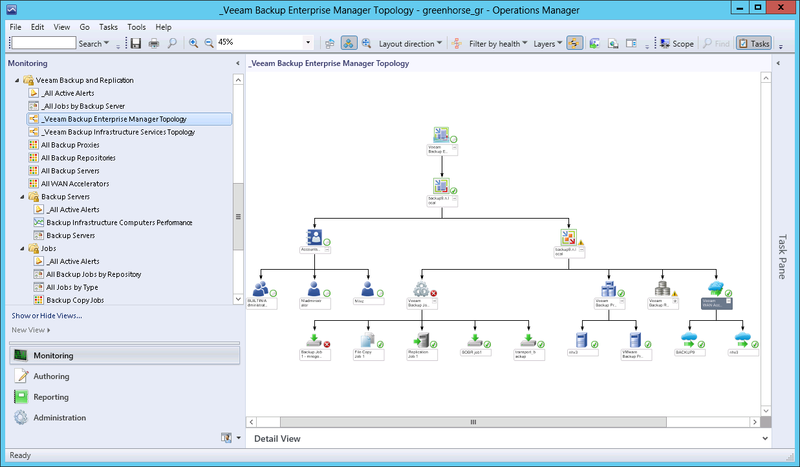 Veeam® Backup & Replication™ leverages server virtualization, modern storage and the cloud to provide Availability for the Always-On Enterprise™ and deliver recovery time and point objectives (RTPO™) of <15 minutes for ALL applications. 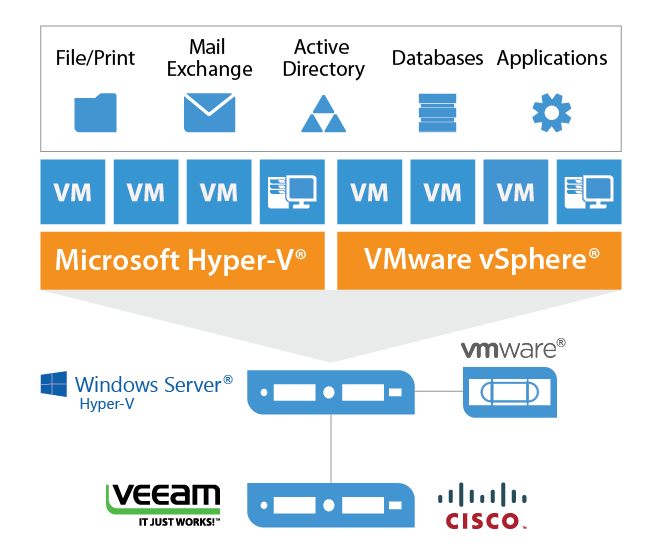 Veeam provides fast, flexible and reliable recovery of virtualized applications and data, unifying backup and replication — all in a single solution for VMware vSphere and Microsoft Hyper-V virtual environments. Veeam FULLY supports VMware vSphere 6.5, providing you the confidence to upgrade to the latest version of VMware and take full advantage of the most modern technology and functionality with assurance your business will remain Always-On™. With a single solution and without any additional investments, you can improve your Availability strategies and complement VM backups with image-based replication. 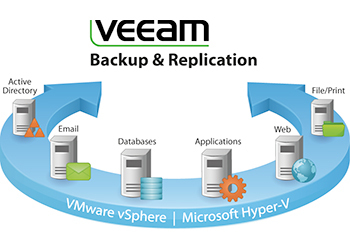 Veeam’s 2-in-1: backup and replication™ for VMware vSphere provides unprecedented levels of Availability and allows you to seamlessly maintain the Veeam 3-2-1 Rule. In addition, there are no agents for you to license, deploy, manage or monitor on your ESXi hosts or VMs. Veeam Backup & Replication creates consistent, image-level backups of running VSS-aware applications, such as Microsoft Active Directory, SQL Server, Exchange and SharePoint using proprietary, application-aware image processing. You get transactionally consistent VM backups, which ensure successful recovery of business-critical applications and services, and allow for application-specific restore scenarios. Secure your VMware backups at the source, in-flight and at rest without negative impact on WAN acceleration and compression, using end-to-end AES 256-bit encryption. Even if you lose a password, you can still recover data from encrypted backups without compromising security. And it’s flexible — you can choose when and where to leverage encryption. With 1-Click Restore, enterprises can delegate end-user permissions and restore entire VMware VMs in minutes. Powerful delegation options let you safely put restore tasks in the hands of business users, resulting in faster recovery times and decreased burdens on IT staff. 1-Click Restore is available in the Enterprise Manager web UI included in Veeam Backup & Replication Enterprise and Enterprise Plus editions. Instead of making users wait while you provision storage, restart an entire VMware vSphere VM directly from a backup file and copy it to production with Instant VM Recovery®. You can get a failed VM up and running again in as little as 2 minutes! 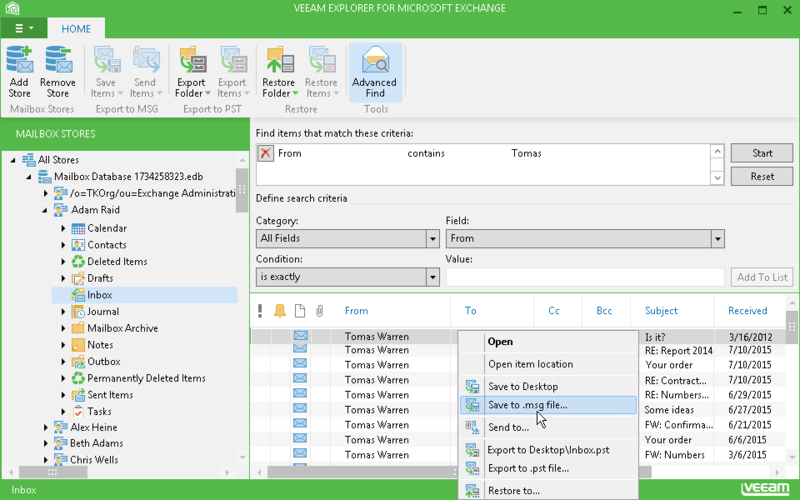 You can view the Veeam Datasheet and the Edition Comparison. If you require any assistance with setting up Veeam, we’re happy to help.